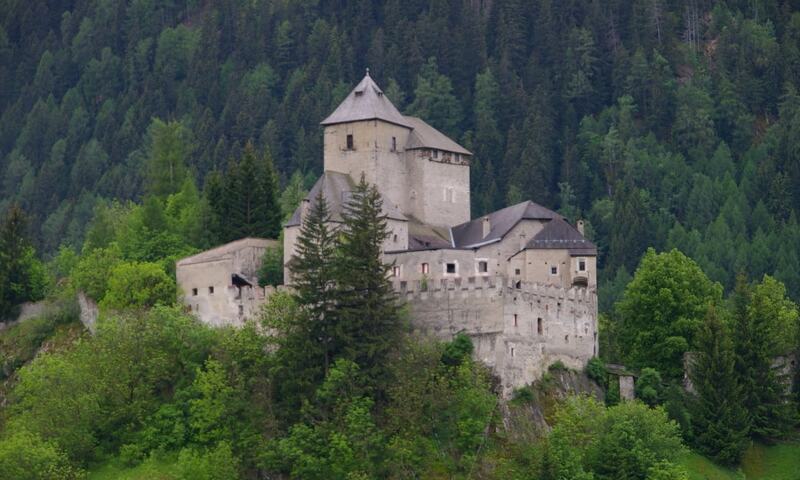 The castle is mentioned for the first time in the 12th century, and was modified in the 14th century. It is a property of the Thurn und Taxis counts. It is famous for the decorated "Green Hall" with Gothic paintings and a woodcarved chapel-door, the stubes and the collection of armor. The castle also contains an original kitchen, bathroom and medieval sleeping bunks.